Earlier this month, I presented some of my research on Alex Caldiero’s sonosophy at the AML Conference. After I posted my presentation proposal here, Scott also posted his, and Th. expressed his hope that we would record our papers “for the internet since that’s the only way nonattendees can be assured of hearing them later.” Th.’s request solidified my intention to record my presentation and post it online. So I packed my Samson Go Mic (love that thing!) and my laptop and sound-captured my presentation using Audacity (in case you were wondering). When I listened to the presentation later, I realized I had left some stuff out the day of and made a few additions to the audio to make up for my neglect; I also made some minor cuts where there was too much empty air or where I commented on how slow the classroom’s computer was (O, so slow!). Then I combined the audio with my Prezi, screen-captured the presentation using , and uploaded the file to YouTube. I mention my post-conference presentation-revision process and the digital tools I used to create the video I’m sharing because I wanted to show one way in which those tools can potentially augment (and disrupt) the historical modes of critical discussion that are favored in the humanities (i.e., sustained arguments made in writing). In his introduction to the BYU student-produced anthology, Writing about Literature in the Digital Age, Gideon Burton argues that we ought to welcome such disruptions because they can awaken us to the “ongoing vitality of literature as ‘equipment for living’ in the digital age.” They can help us see and experience and share and discuss literature differently, opening the mode of literary conversations to something (potentially) more dynamic and engaging than a monograph published in a print journal with a necessarily limited base of subscribers. My thoughts on the state of academic publishing aside, I was both excited and disheartened to learn at the AML Conference that next year’s meeting might be held in Hawaii. The move excites me because it’s an attempt to break the Jell-O Belt’s hold on the Association (and the Association’s favor for the Jell-O Belt), to move its focus beyond the continental U.S. I just hope the attempt doesn’t, Humpty Dumpty-like break the Association. Which leads me to why the move disheartens me: as I mentioned in the post where I shared my AML proposal, my wife and I look forward to our annual pilgrimage to the AML Conference; but with the conference in Hawaii next year, we can’t afford to attend. Chalk it up to student loans coming due, a pending move, a mortgage, four kids, and so on. Whatever the case, I’m sad I won’t be able to be there. Yet, our impending conference-nonattendance has had me thinking about alternatives to the time- and geography-bound conference, about ways to approximate or augment the knowledge- and community-building aspects of such conferences, to potentially include more people on the program and in the conference discussions, to move MoLit’s critical culture beyond the ways critics have traditionally made their work public. Sharing my conference presentation online (in video and audio formats) is a gesture toward those alternatives, which I hope to address more later. Your thoughts on such alternatives and on the content and form of my presentation (which at ~43 minutes is, I know, fairly long) are welcome in the comments. Follow this link for the audio version. Alex Caldiero’s work emerges from a rich performance ecology that consists of many different influences. One of these is the figure of the pre-modern bard, whom Caldiero calls a makar (mah-ker). Makar is the Middle English antecedent of maker, although makar is still active in the Scots language where it’s used in reference to a poet or bard [see here, especially]. Caldiero may have assumed the title in an attempt to establish kinship with a primitive (prime-itive) culture, its language, and its poetics. He may have also taken the name to skirt around the social and cultural limitations related to calling oneself a poet, including the stigma attached to practicing an art that some say is dead and that others associate with greeting card sentimentalism or the horrors of high school English. By moving to avoid these limitations (albeit at the cost of having to endure others [like being what Scott Carrier calls a “categorical conundrum”]), Caldiero becomes better able to critique common conceptions of poetry while he at the same time foregrounds the term’s origins: the word poetry derives from the Greek concept of poesis, which signifies the process of making. First, that the Gods are Makers: they create and they procreate. Second, that God isn’t a singular Entity acting as lone Creator but is part of a coterie of creative Beings acting in concert, a Community of Gods. Third, that the Makers have created and peopled not just this world, this universe, but many worlds and many universes. Fourth, that Creation doesn’t occur ex nihilo: rather the Makers build things from materials extant in expansive cosmos. Fifth, that Creation unfolds in an eternal round: the Makers’ creative acts occur in the present progressive tense, that these Beings haven’t just created, they are creating. Sixth, that humans are the Makers’ offspring; as such we have the making gene in us and by virtue of heredity and training, we can emulate our Parents and become Makers ourselves. 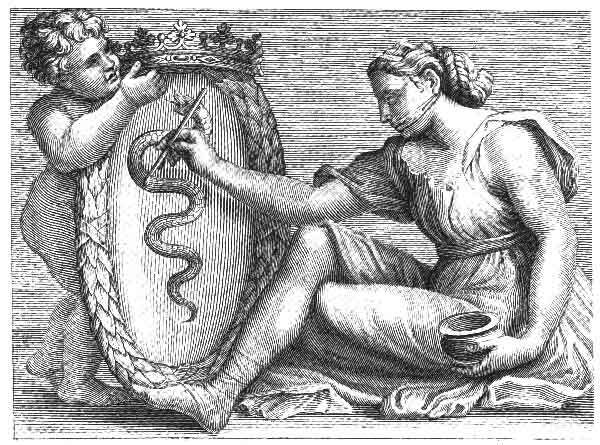 My paper will explore the relationships among Caldiero’s performative poesis (which he calls sonosophy) and the figures/ideas I’ve described above: the makar (the pre-modern bard), poetry as the process of making, and Gods as Makers. Over the past couple weeks I’ve received two emails from Alex Caldiero announcing projects he’s involved with. The first is a Kickstarter campaign, the second a new book. As a native of Sicily, Alex spent his childhood in the shadow of Mt. Etna, the largest active volcano in Europe. Using the funds to be raised by their Kickstarter campaign—titled “Living with Etna”—Alex hopes to return to Sicily as the tour guide for emerging filmmakers Laura Kisana and Isaac Caldiero (Alex’s son), who hope to document the relationship between the mountain and the people who inhabit its slopes. Back in April, I presented some of my recent research on Alex Caldiero’s performance poetics at the annual conference for the Association for Mormon Letters. Since then I’ve been thick in the middle of preparing for, then taking (and passing! ), my comprehensive exams for my doctoral degree. Now it’s time to dig into that dissertation, which is on Alex’s work. The presentation I gave at the AML Conference, of which this post is an extension, is a result of my dissertating. It seeks to represent the performance ecology out of which Alex’s poetics has grown and to which it responds. In order to get the most out of what follows, it’s probably best to view my Prezi presentation in conjunction with my commentary (maybe you can split the screen, with my comments in one window and the Prezi in another? I leave the logistics to you…). I’ve tried to make this as simple as possible by correlating my comments to each stop you’ll make as you move through the Prezi. And after you’ve made your way through it, I hope you’ll leave your comments on my ideas, which are, as all poetics, in process. I just submitted this proposal for next year’s AML Conference. The theme: “Going Forth Into All the World: Mormon Literature in an International Church.” I hope it tastes international enough for the organizers’ palate.